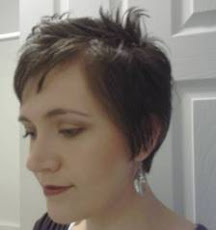 Okay better late than never...sorry this is so late going up, life has gotten a bit crazy! Remember my cinnamon rolls? 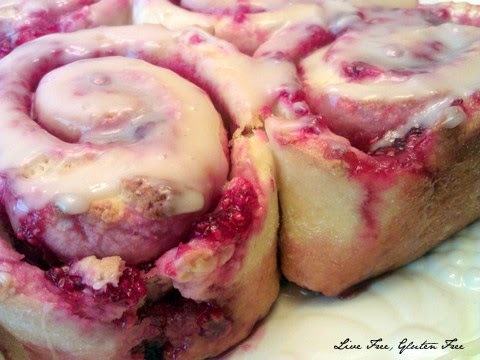 Well, you can make other sweet rolls with the dough, too. 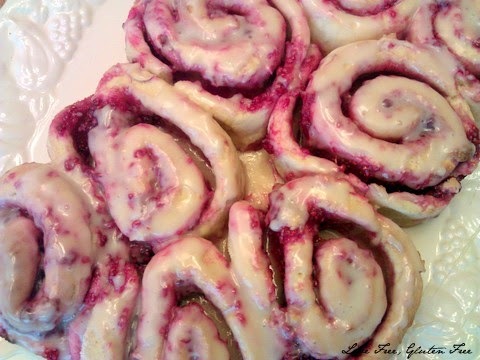 I made these raspberry sweet rolls ages ago and am finally getting around to posting about it. Enjoy! Preheat oven to 375F. Grease an 9X13 pan and set aside. Dust a long sheet of parchment paper with gluten free flour and spread the dough out onto it. Place a second parchment paper on top of the dough, and roll it out to a nice long rectangle about 1/4"-1/2" thick. Remove the top parchment paper and brush the dough with the melted margarine from edge to edge. Spread the jam evenly over the butter, covering from edge to edge. Pick up the short end of the parchment paper and begin to carefully roll the dough over itself, while peeling off the parchment paper. Whisk all ingredients together in a bowl and pour generously over sweet rolls. This post was shared on Gluten-Free & DIY Tuesday, Allergy Free Wednesday, Gluten Free Wednesday, and Gluten Free Friday. filled with eggs and ham, or peanut butter, bananas, jelly, etc.